Two weeks ago I took my girls up to visit their grandparents, my in-laws in Wisconsin. We spent the week hanging out and having fun. My husband wasn’t able to come because, well, he works. 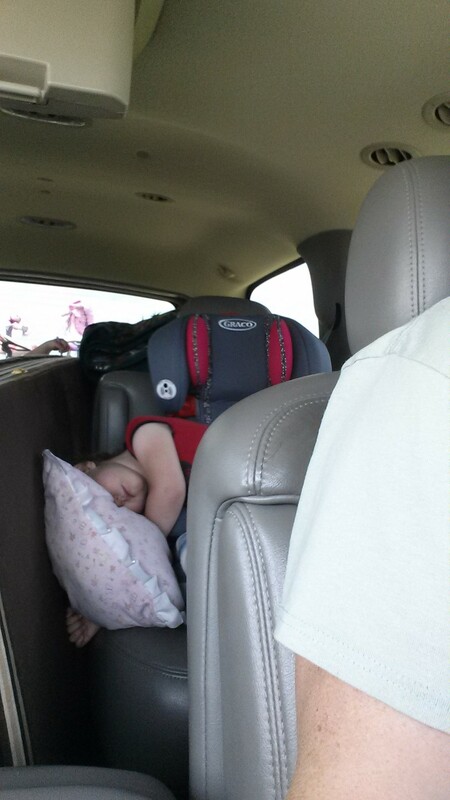 So on the way home I noticed that my youngest had fallen asleep in such a funky position I just had to share. The one on the left is the position I am speaking of. The one on the right is on another trip. How do they do it? 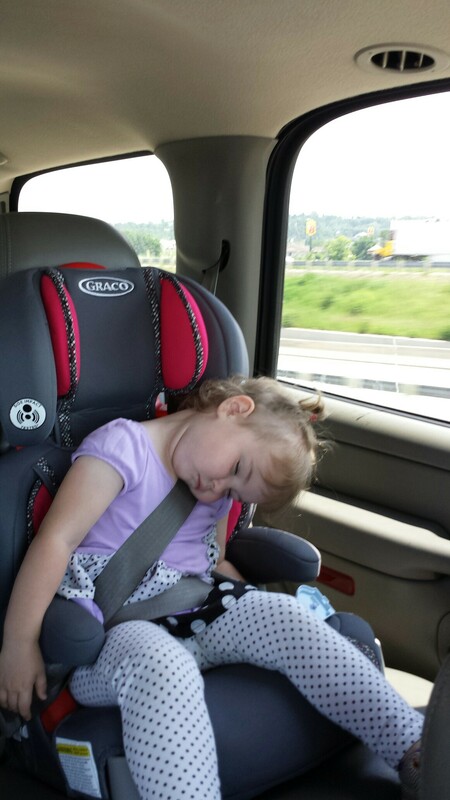 If I slept like that I would have to spend 20 minutes in my inversion table just so I could walk upright again. She didn’t even have a kink in her neck.